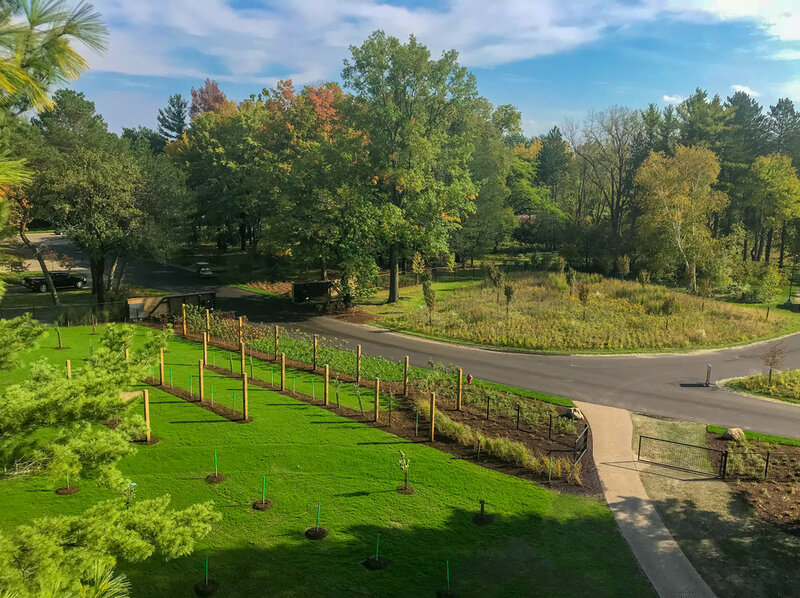 Dow Gardens, a public garden located in Midland, Michigan, wanted to establish a connection between their main campus and an adjacent property belonging to the Herbert H. and Grace A. Dow Foundation. Our design team worked with the garden’s staff and members of the Whiting family to prepare a comprehensive master plan that provides a variety of programming for the expanded garden. Following the master planning stage, the team further developed the plans into the new Whiting Forest of Dow Gardens. 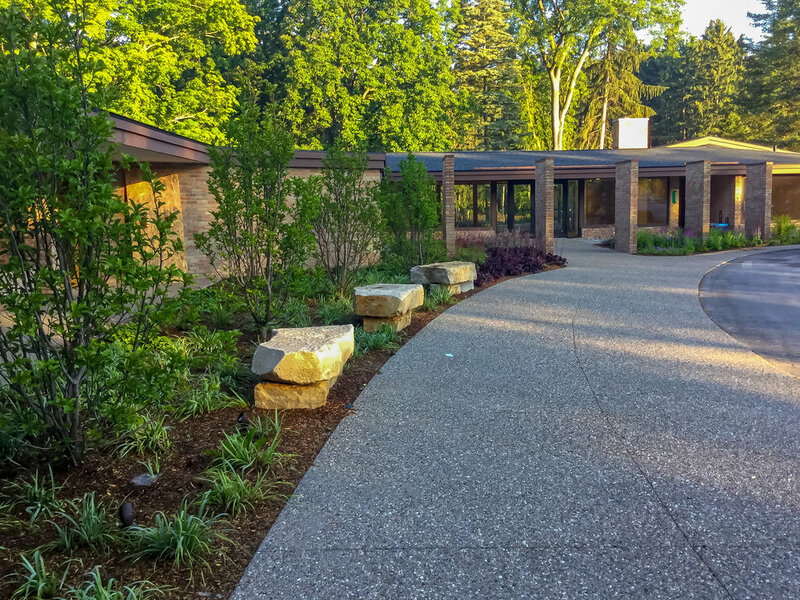 The expansion includes the renovated Visitor Center with a large terrace space, a new orchard that tells the story of the history of American orchards, an outdoor classroom with views into the forest, an amphitheater overlooking Snake Creek, a playground, new parking lots that feature rain gardens, and a maintenance yard for the staff. At the center of the design, the Canopy Walk spans through the pine forest, offering unique views of the woodland, pond, orchard, and meadows. The design also features two pedestrian bridges to provide safe passage across St. Andrews Road and over Snake Creek. Within the stream corridor, a large-scale restoration project is underway.